« Duluth, Minnesota-Best Beach Town? Urban Bed & Breakfasts for Sale-Interested? Did you know The B&B Team conducts around 30 ‘Better Way to Learn Innkeeping’ Seminars annually? Many aspirers sign up to learn the “ins and outs” of starting a bed breakfast. In addition we also learn from them, something very important. Where do they want to live? Location WILL affect your business and lifestyle. Is it in the country with some acreage? Is it on the shore, beach or lake? In a quiet country village? Urban Bed & Breakfasts. Large cities or smaller metropolitan cites. Let’s take a look at some advantages. Can have higher occupancy rates. Why? Oodles of corporations that bring their travelers to town. Typically enjoy mid-week business travelers. Usually have colleges and universities…always magnets for parents, future student families, reunions and corporate guests working at the school. Colleges and universities build repeat guests for 4 years with each entering class. Less year-round occupancy volatility. Typically weather does not affect urban travel. Average Daily Rates (ADR) can typically be higher in a city. Why? Higher occupancy rates allow for effective revenue management practices. Thank you Marilyn and Scott Bushnell, members of The B&B Team for their insights, cited above. As innkeepers (in their former life!) their Inn was located in a vibrant urban location. Another feature is that they are often located in beautiful renovated in-town historic manses, homes where prominent families lived before suburban sprawl. In addition, it is not all cement and asphalt; there are often secret gardens and patios, even swimming pools. Here are a few examples of successful urban Bed and Breakfasts The B&B Team is currently offering for sale. 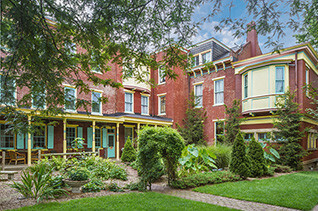 Cornerstone Bed & Breakfast, Philadelphia PA. Walk to the Philadelphia Museum of Art, fine dining and events. Yes…it’s urban! Located in University City adjacent to both the University of Pennsylvania and Drexel. Occupancy exceeds 70% (national average for B&Bs of this size is about 41%. ADR is over $190 (national average for B&Bs of this size is about $160). 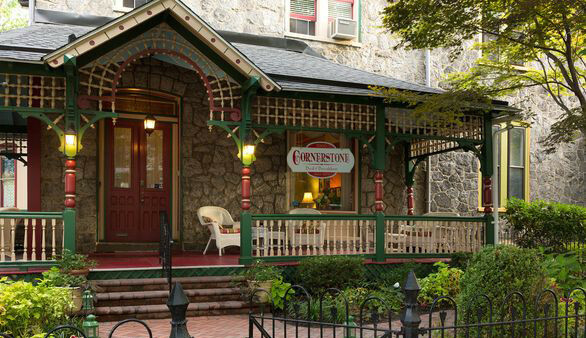 The Cornerstone Inn is a beautiful 1865 Victorian ‘painted lady’ set on a quiet Philadelphia street among towering trees and other historic buildings. 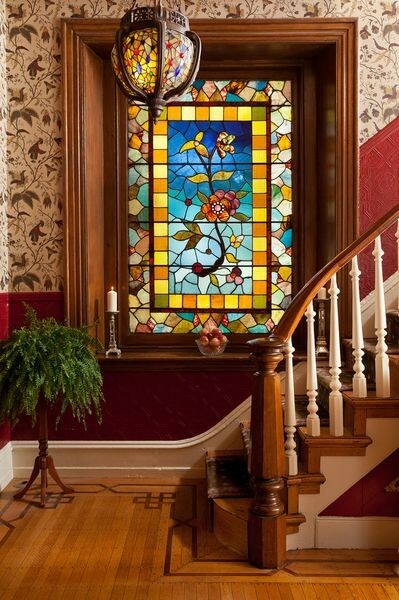 Highlights of the Inn include original architectural carpentry, original wood flooring and 7 glorious stained glass windows. A Lehigh Valley Pennsylvania Inn. 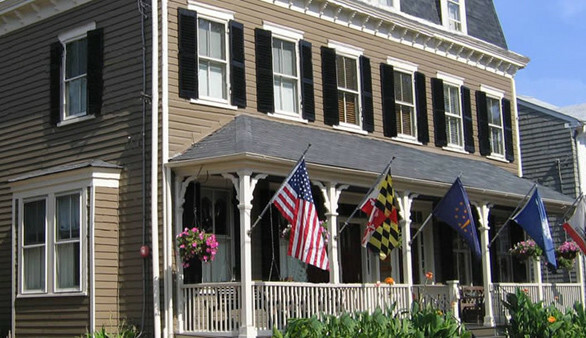 18 guest room Georgian Mansion Inn located in an historic neighborhood in Eastern PA.
Near a world renowned liberal arts college. Includes all the advantages an urban property can offer. Occupancy and ADR plus complete financials are available to qualified buyers with a signed NDA. An elegant Georgian mansion originally built in 1895. In 1986 the building was fully restored to its former glory and has welcomed guests ever since. 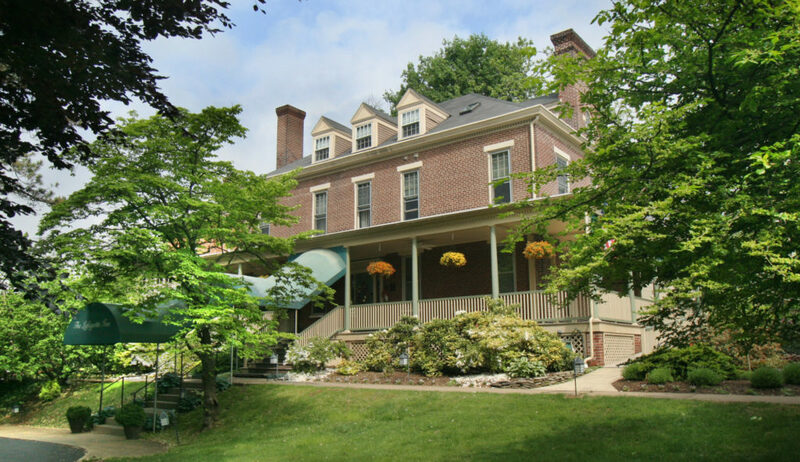 Over the years it has evolved into what is now the stately eighteen-room Lehigh Valley urban Bed & Breakfast. Take a look at The B&B Team’s additional Urban Bed & Breakfasts for sale offerings. Downtown Pittsburgh Bed and Breakfast. Historic Mansion with 9 guest rooms in the middle of this dynamic city. A few blocks from Heinz Field, PNC Park, and Andy Warhol Museum. Urban neighborhood at it’s best. Amid dozens of diverse area attractions that bring visitors to town such as the Naval Academy, St. John’s College, city Dock with its showcase Harbor, the State Capital and surrounding businesses, plus boutique shopping, pubs and eclectic dining offerings that are ALL within a short walking distance. In the historic district of Annapolis. Still interested? Follow the links and give us a call. We can help. This entry was posted on Tuesday, June 13th, 2017 at 8:38 pm	and is filed under Innkeeping Business. You can follow any responses to this entry through the RSS 2.0 feed. Both comments and pings are currently closed.